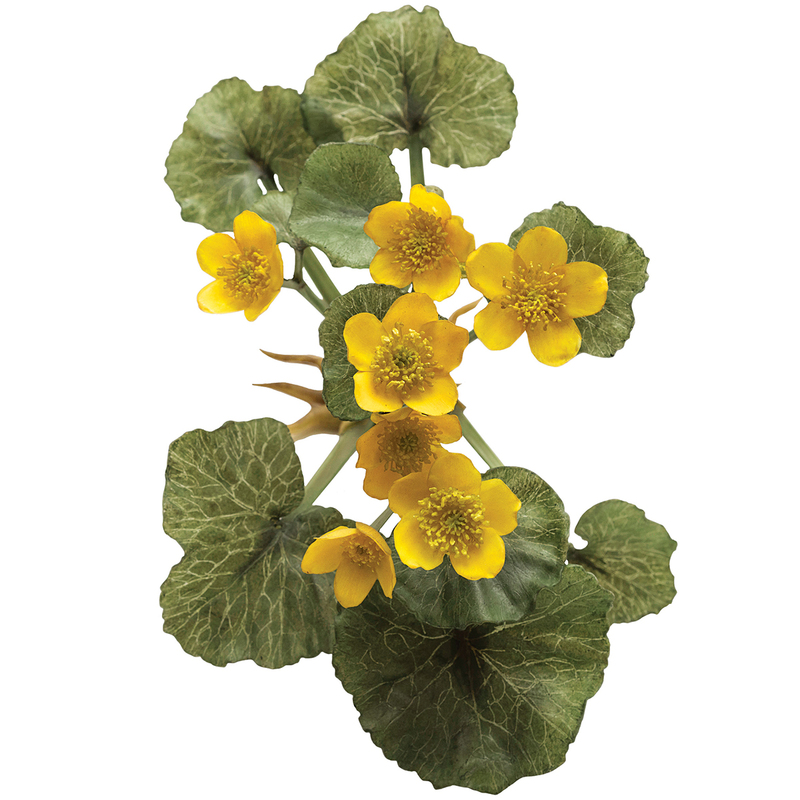 By Chris Sweeney·	 5/18/2016, 9:00 a.m.
From a few feet away, you might think that this marsh marigold—with its intricate vein structures and dangling roots—was plucked from a nearby meadow. Take a step closer, though, and the true beauty of the specimen reveals itself: It’s made entirely of glass. This “flower,” crafted in 1894, is just one of more than 4,000 glass botanical models created by the Blaschkas, a German family that first became famous for their anatomically accurate glass replicas of jellyfish. Impressed by the family’s artistic precision, Harvard botanist George Lincoln Goodale commissioned the Blaschkas to capture in painstaking detail a wide range of North American flora. The project spanned five decades, two generations of Blaschkas, and more than 800 species. Many of the models have been out of the public eye and safely stowed away for more than a dozen years. That will change on Saturday with the Harvard Museum of Natural History’s renovated and expanded “Glass Flowers” exhibit, featuring, among many others, this lovely bloom—a true harbinger of spring if ever there was one.